For the musician, music manager and record label boss, see Martin Kelly (Heavenly). For the Irish rugby union player, see Martin Kelly (rugby union). For the Australian judoka, see Martin Kelly (judoka). * Senior club appearances and goals counted for the domestic league only and correct as of 21:28, 3 December 2016 (UTC). Martin Ronald Kelly (born 27 April 1990) is an English professional footballer who plays as a defender for Premier League club Crystal Palace. Kelly was born in Whiston, Merseyside and raised in Newton-le-Willows by his parents where he attended St Mary's Primary and then St Aelred's Catholic Technology College. He joined Liverpool at the age of seven and came through Academy ranks. Kelly was promoted to Melwood from the club's academy in the summer of 2007. In an interview for Liverpool's official website he spoke about his delight at making the step up despite missing roughly two years of football for the youth team due to back problems. Kelly broke into Gary Ablett's title winning reserves team during 2007–08. He scored the second goal in Liverpool's 3–0 win over Tigres UANL in the 2008 Dallas Cup final on 23 March 2008. Ahead of the 2008–09 season he received a first team squad number. He earned his first call up to the senior team in November 2008 when he was an unused substitute in Liverpool's UEFA Champions League group stage match against Marseille. Not long after, he debuted as a substitute for Jamie Carragher in the same competition against PSV Eindhoven on 9 December 2008. On 26 March 2009, as the loan transfer window closed, Kelly joined League One side Huddersfield Town on loan until the end of the season. He made his debut for the Terriers as a left-back in the 2–1 win over Bristol Rovers at the Memorial Stadium on 31 March 2009, and received praise for his composed performance. On 18 April, he scored his first goal in professional football, scoring the winner in Huddersfield's 3–2 win over Walsall at the Bescot Stadium. Rafael Benítez suggested that the departure of Sami Hyypiä from Liverpool could open a window for Kelly into the first team, with his progress expected to be monitored closely in pre-season. Kelly made his first competitive start for Liverpool as a right back against Lyon in the UEFA Champions League on 20 October 2009, in which he walked off injured in the 74th minute. He was named man of the match by Liverpool's official website. He made his return from a groin injury on 25 February 2010, coming on as a substitute against FC Unirea Urziceni in the UEFA Europa League. He then made his Premier League debut replacing Glen Johnson in the 4–1 win over Portsmouth at Anfield. Kelly made his first Premier League start of the season as an emergency replacement for Sotirios Kyrgiakos on 7 November 2010 against Chelsea in a match which Liverpool won 2–0. He subsequently started in the Merseyside derby on 16 January 2011, forcing Liverpool's first choice Glen Johnson to play left back. He won the Liverpoolfc.tv journalist's Man of the Match Award for his performance against Everton. Jamie Carragher complemented his talents by saying "I was in the stand against Everton and when he made that run past Leighton Baines, I thought it was Thierry Henry against me all those years ago. It was turbo charged." On 20 August 2011, Kelly played for the whole match away to Arsenal and helped Liverpool keep a clean sheet in a 2–0 victory. He nearly scored in the second half, as his shot from 15 yards hit the outside of the post. England manager, Fabio Capello, was present at the match and applauded his performance. On 29 November 2011, he scored a header against Chelsea as Liverpool won 2–0 at Stamford Bridge, sending them through to the semi-finals of the League Cup. On 23 September 2012, he ruptured his anterior cruciate ligament against Manchester United and was ruled out of action for approximately six months. A year and three days later, he made his first competitive appearance since the injury, against the same opponents in the third round of the League Cup, replacing Lucas Leiva midway through the second half in a 1–0 win for the hosts. Brendan Rodgers insisted that the latter would get his chance fully as current first-choice right-back, as Glen Johnson was out for a month. On 14 August 2014, Kelly joined Crystal Palace on three-year deal, moving for a reported fee of £2 million. He totalled 34 games in his first season at Selhurst Park, as Palace finished 10th. He scored his first goal for Palace, and first career goal since November 2011, on 21 February 2016, the only goal in the fifth round of the FA Cup against Tottenham Hotspur at White Hart Lane. Kelly was called up in early 2009 for the England U-19 squad that played Spain U-19s on 10 February. Kelly went on to make 5 appearances for the Under-19s with his last coming in a 2–1 win over Scotland U-19s on 1 June 2009. In August 2009, Kelly was called up to the England U-20 squad for the match against Serbia and made his debut in the 5–0 victory. He subsequently played all three matches for the side in the Under-20 World Cup finals in Egypt that year. Kelly made his debut for the England Under-20 team in a 5–0 win over Montenegro U-20s in a pre 2009 FIFA U-20 World Cup friendly. He also played at the 2009 FIFA U-20 World Cup in Egypt as England finished bottom of Group D. Kelly made four appearances for the under-20 side. On 5 August 2010, Kelly received his first call-up to the England Under-21 squad, along with Aston Villa's Marc Albrighton and future club team mate Jordan Henderson. On 10 August 2010 he made his debut, coming on as a substitute and scoring England's second goal as they beat Uzbekistan at Ashton Gate. He scored again for England as they beat Iceland 5–0 on 11 November 2011. He scored his third under-21 goal in only his fifth appearance on 14 November away to Belgium. On 22 May 2012, Kelly received his first call-up to the senior England squad, to face Norway four days later in an international friendly. He made his debut as a substitute in the 87th minute, replacing Phil Jones at right back. Having played just two minutes, Kelly's international career is the shortest ever for an England player. On 3 June, Kelly was called up to the UEFA Euro 2012 squad to replace Gary Cahill, who had fractured his jaw during a 1–0 friendly win against Belgium. He was not used during the championship, in which England reached the quarter-finals. Kelly was in Paris on 13 November 2015, a night when it was hit by a series of terror attacks. After seeing his Instagram post of a restaurant believed to have been attacked, members of the public became concerned for his safety. Crystal Palace confirmed via Twitter that he was safe and well, having returned to his hotel before the attacks began. 1 2 Hugman, Barry J., ed. (2010). The PFA Footballers' Who's Who 2010–11. Edinburgh: Mainstream Publishing. p. 233. ISBN 978-1-84596-601-0. ↑ "Martin Kelly". 11v11.com. AFS Enterprises. Retrieved 6 April 2016. ↑ Martin Kelly profile at Liverpool F.C. ↑ Hunter, Steve. "Kelly out to emulate Stevie". Liverpool F.C. Retrieved 22 February 2012. ↑ "Reserves in profile: Martin Kelly". Liverpool F.C. 14 October 2008. Retrieved 28 October 2011. ↑ "Match Report: Dallas Cup Final Liverpool v Tigres". Redandwhitekop. 24 March 2008. Retrieved 23 May 2012. ↑ "Trio handed first-team squad numbers". Liverpool F.C. 8 August 2008. Retrieved 28 October 2011. ↑ "Liverpool 1 – Marseille 0: match report". Liverpool F.C. 26 November 2008. Retrieved 28 October 2011. ↑ "PSV 1 – Liverpool 3: match report". Liverpool F.C. 9 December 2008. Retrieved 28 October 2011. ↑ "Defender joins Terries on loan". Liverpool F.C. 26 March 2009. Retrieved 28 October 2011. ↑ "Walsall 2–3 Huddersfield". BBC Sport. 18 April 2009. Retrieved 4 September 2009. ↑ "Rafa: Sami leaving could be chance". Liverpool F.C. 28 May 2009. Retrieved 28 October 2011. ↑ "Liverpool 1–2 Lyon". BBC Sport. 20 October 2009. Retrieved 23 May 2012. ↑ "Kelly hoping for Europa action". Liverpool F.C. Retrieved 23 May 2012. ↑ "Starlet will get even better". Liverpool F.C. 19 February 2011. Retrieved 16 March 2015. ↑ "Arsenal 0–2 Liverpool". BBC Sport. 20 August 2011. Retrieved 23 May 2012. ↑ "Capello impressed by Kelly". Liverpool F.C. 21 August 2011. Retrieved 8 January 2012. ↑ "Chelsea 0–2 Liverpool". BBC Sport. 29 November 2011. Retrieved 29 January 2012. ↑ "Martin Kelly: Liverpool defender ruptures cruciate knee ligament". BBC Sport. 24 September 2012. Retrieved 1 October 2012. ↑ "Reds suffer cup exit on Suarez's return". Liverpool F.C. 26 September 2013. Retrieved 14 August 2014. ↑ "Crystal Palace sign Liverpool defender". BBC Sport. 14 August 2014. Retrieved 14 August 2014. ↑ "Official: Martin Kelly Completes Crystal Palace Move". SB Nation. 14 August 2014. Retrieved 7 July 2015. ↑ "Crystal Palace and Martin Kelly ride luck to sink Tottenham Hotspur". The Guardian. ↑ "Kelly relishing Reds challenge". Liverpool F.C. 21 February 2009. Retrieved 28 October 2011. ↑ "Martin sets his sights". The Football Association. 25 March 2009. ↑ "England U21 2–0 Uzbekistan U21". BBC Sport. 10 August 2010. Retrieved 29 January 2012. ↑ "England U21 5–0 Iceland U21". BBC Sport. 11 November 2011. Retrieved 29 January 2012. 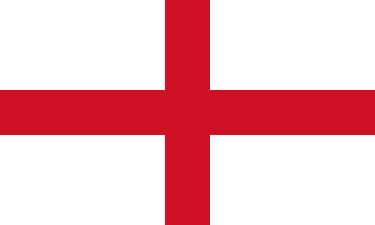 ↑ "Belgium U21 2–1 U21 England". BBC Sport. 14 November 2011. Retrieved 29 January 2012. ↑ "Norway 0–1 England". BBC Sport. 26 May 2012. Retrieved 3 June 2012. ↑ "Euro 2012: Gary Cahill ruled out but Rio Ferdinand overlooked". BBC Sport. 3 June 2012. Retrieved 3 June 2012. ↑ "Crystal Palace's Martin Kelly safe and well after Paris concerns". Sky Sports. 15 November 2015. Retrieved 23 December 2015. 1 2 "Games played by Martin Kelly in 2008/2009". Soccerbase. Centurycomm. Retrieved 6 April 2016. ↑ "Games played by Martin Kelly in 2009/2010". Soccerbase. Centurycomm. Retrieved 6 April 2016. ↑ "Games played by Martin Kelly in 2010/2011". Soccerbase. Centurycomm. Retrieved 6 April 2016. ↑ "Games played by Martin Kelly in 2011/2012". Soccerbase. Centurycomm. Retrieved 6 April 2016. ↑ "Games played by Martin Kelly in 2012/2013". Soccerbase. Centurycomm. Retrieved 6 April 2016. ↑ "Games played by Martin Kelly in 2013/2014". Soccerbase. Centurycomm. Retrieved 6 April 2016. ↑ "Games played by Martin Kelly in 2014/2015". Soccerbase. Centurycomm. Retrieved 6 April 2016. ↑ "Games played by Martin Kelly in 2015/2016". Soccerbase. Centurycomm. Retrieved 18 September 2016. ↑ "Games played by Martin Kelly in 2016/2017". Soccerbase. Centurycomm. Retrieved 18 September 2016. ↑ "Kelly, Martin". National Football Teams. Retrieved 6 April 2016. ↑ "M. Kelly". Soccerway. Perform Group. Retrieved 9 April 2016. 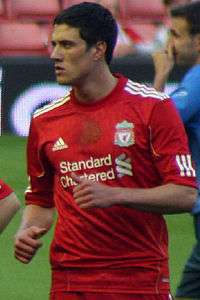 Wikimedia Commons has media related to Martin Kelly.